In less than a week, my family will be celebrating Passover. Thanks to that, this time of year can be quite hectic. TechyDad is in the midst of transforming our kitchen. 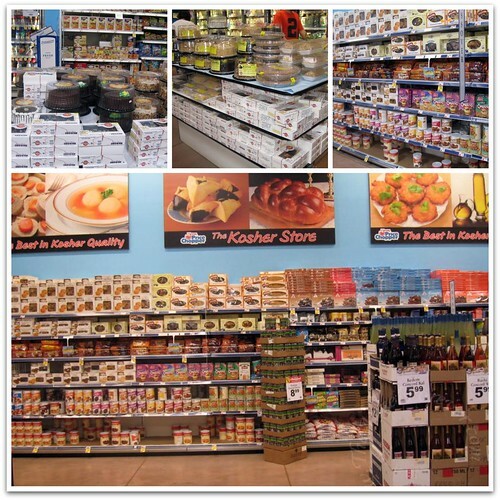 It is time to get rid of our chametz and have only Kosher for Passover items. He cleans everything out, quarantines off non-Passover food, and will switch out our Passover pots and pans. This takes a lot of time and patience to do. 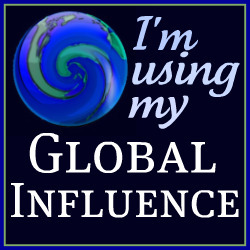 Something that I really do not have a lot of – especially with everything else going on. In addition to this, we have to shop for Passover food items. During Passover, we do not eat leavened foods and must make sure that meats, dairy and food other than fruits and vegetables are marked Kosher for Passover. In the past, this was a lot more difficult. As a child, I still remember going to the store and only seeing Matzoh and a few other items (like candy, cookies and cake) on the shelves. Over the last 5-10 years, this has changed drastically. 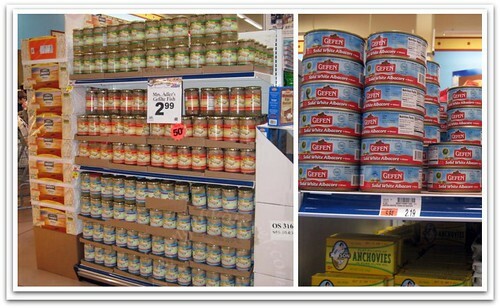 Stores have started to carry a lot of different Passover foods. 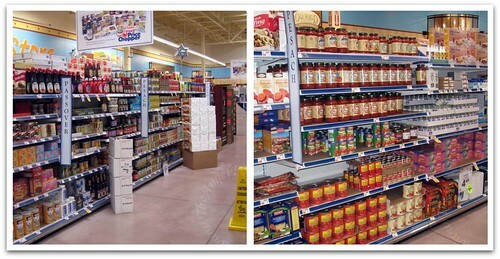 In the past, there may have been only an end cap at a store containing Passover food, now some stores have multiple aisles. 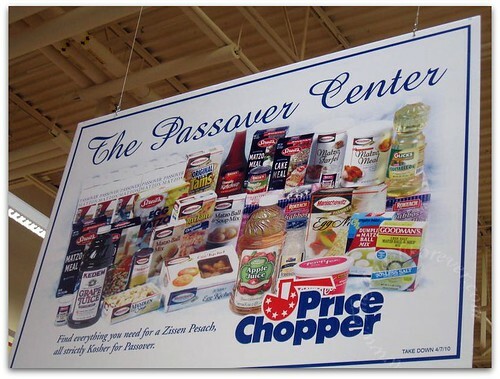 On Sunday, we went to two different Price Chopper stores in a search for some last minute Passover items. We needed Passover yogurt and cottage cheese. When we arrived at the second store, I decided to take out my camera and freak out the store share our adventure with you. When we unsuccessfully finished looking for the yogurt (Dannon Naturals w/ Kosher for Passover stamp on them) and Price Chopper cottage cheese for Passover, I took out my camera. As we went around the corner, we were immediately met by the two large displays of Passover ready made cakes and cookies. It looks like a lot, but was not the only area with these items. When you go and look at the candy section there are more cookies, marshmallows, gum, and fruit snacks along with other items. From here, we went down the frozen food aisle. 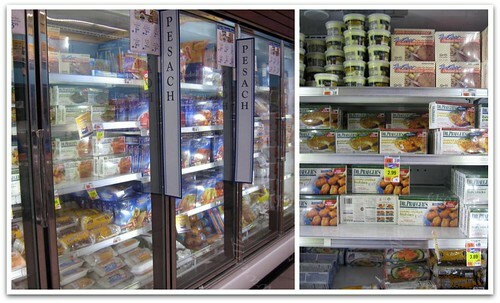 Almost half of the kosher frozen food section was filled with food for Pesach. I remember just a few years ago when there was just a small section of items. 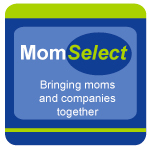 Now, you can find Dr. Pragers fish items (great for our kids), Meal Mart items including stuffed cabbage, vegetable soufles and much more. Meanwhile, I was getting looks from some people. Not anyone in the store. No, my two year old was not a happy camper. 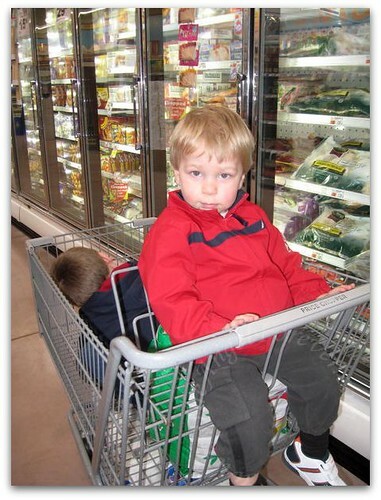 This was his second grocery store of the day and he was tired and wanted to leave. On the other side of the aisle were spices, baking goods, canned items and boxed mixes. This year we are trying not to buy much if any of the packaged items. We want to try to limit these to only things for an emergency and focus on making healthier options. Of course, there was a lot of Gefilte Fish and tuna. Check out the price on Kosher for Passover tuna – Oy! Then, we moved to the last aisle. Here, we found apple sauce, canned fruit, dried fruit, nuts, juices, soda and of course lots of Matzoh. Across from here was the butcher counter. 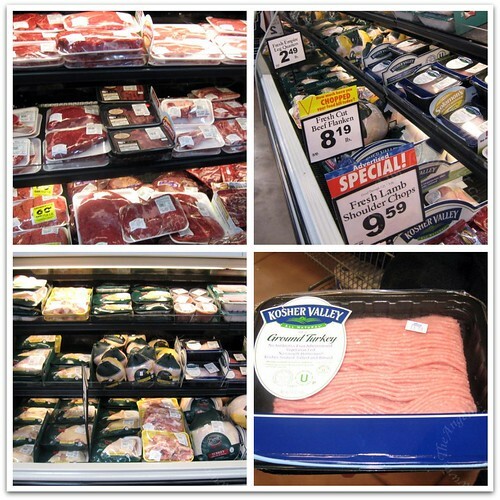 Check our options (try not to collapse from the prices of kosher meat – thus the reason we are almost vegetarian at home). 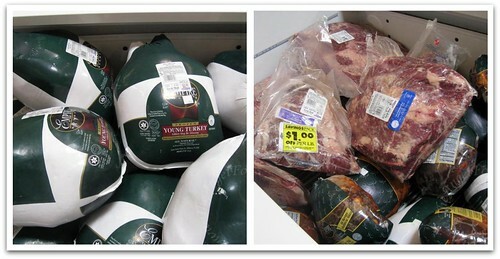 We picked up some of the Kosher Valley turkey to try. While I was at the Price Chopper blogging event a week ago it was suggested that we try this over the Empire turkey. In addition to this area, there was another large container with turkey and other meats for Passover time. Aside from the yogurt and cottage cheese, we only need fresh fruits and vegetables for Passover. Pretty much everything else is set, unless we want to try baking on our own. So, will you come help us organize all of this for Passover now? Please. . . I am willing to beg here! For more posts about Passover from the past click here. Disclosure: This shopping trip was a family adventure that was to Price Chopper for our Passover shopping. 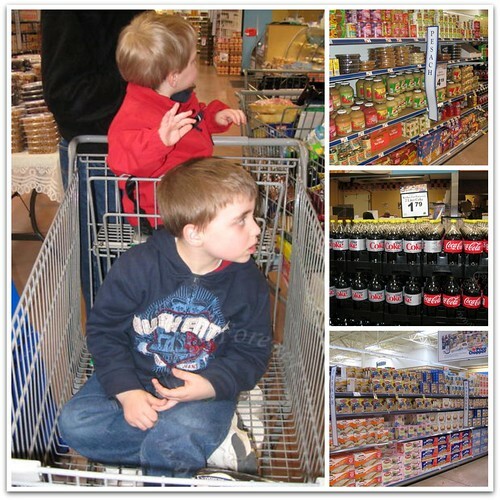 I decided to share our pictures to allow others to see how the world of Passover food shopping has changed. I received no compensation from Price Chopper and only wonder if anyone saw me with my camera while shopping. Wow that is beautiful! I long for a store like that. And you have KP Coca Cola… I can’t find it at all this year. Thanks for a beautiful post! .-= Michele @ Mom Teaching Two´s last blog ..Monday Mingle March 22nd 2010 =-. I use to do a lot of Kosher Catering with the Catering Company I worked for…I really miss catering at Passover, yummy brisket, matzoh ball soup, potato kugel. I hope you enjoy and have a great Passover with family and friends. Shalom!! Wow that’s awesome. Our Price Chopper only has a little section. Your city must have a large population of Jewish people. I celebrate Passover but my household isn’t Jewish so we don’t only eat passover foods etc… I love going to our sedar my Bubby holds though but this year apparently we aren’t doing the sedar. I think the problem is Bubby and my cousin Cookie are the only ones left that could run the sedar and they don’t want to do it anymore. I don’t know but I’m disappointed. .-= Callista´s last blog ..Super Kids Nutrition =-.